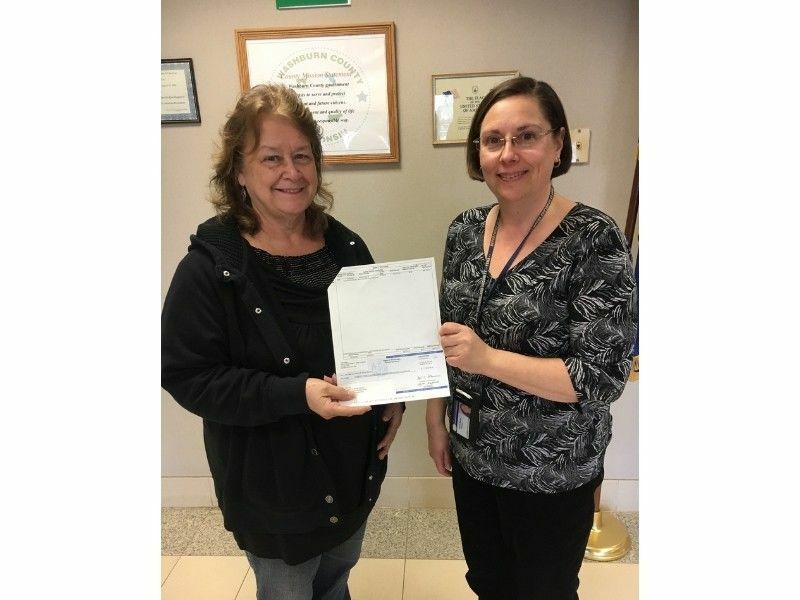 The Washburn County Emergency Management Office recently received a check in the amount of $23,319.43 from the Wisconsin Disaster Fund to reimburse a local unit of government for the damages they sustained from the severe storm event of 6/16/2018. The Town of Frog Creek incurred and documented eligible recovery efforts totaling $33,313.47. The claim was submitted to the Wisconsin Disaster Fund. The Wisconsin Disaster Fund will reimburse 70 percent of the eligible costs if funds are available.